The focus of our research into active materials and devices for telecommunications and sensors is on the development and characterisation of optical waveguides devices. In a series of European networking projects such as NEMO, ENOC and EFONGA, IFAC has attained a well-established set of results at both a scientific and technological level. 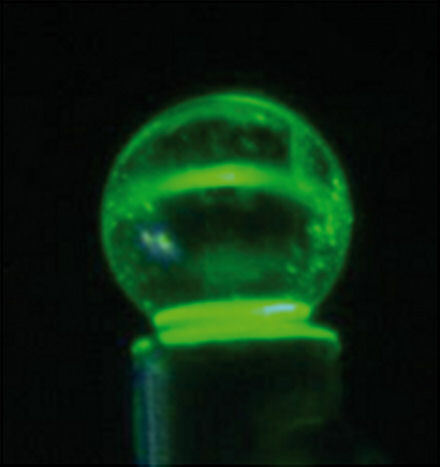 Mapping by upconversion in the green of the optical pump guided by a gallery mode in a microsphere resonator. 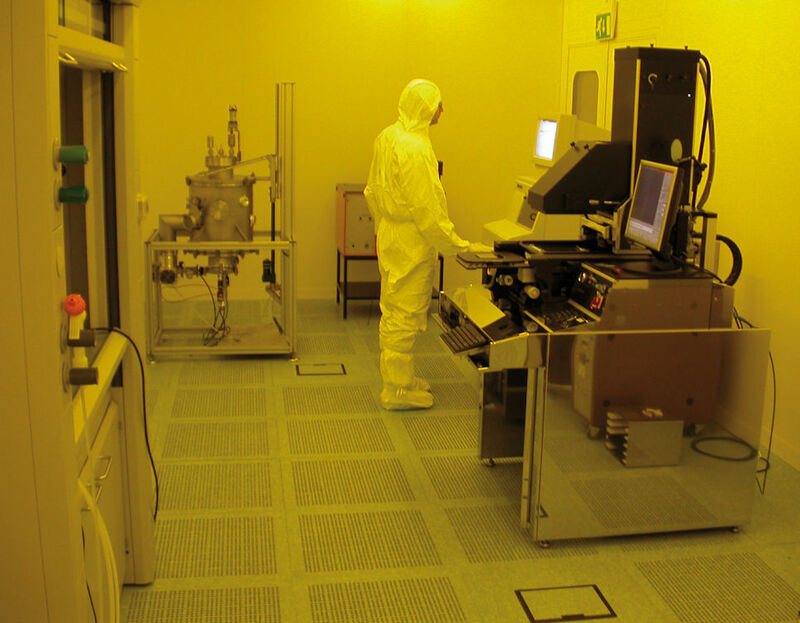 Photolithographic and thin film deposition techniques in class 1000 clean room. 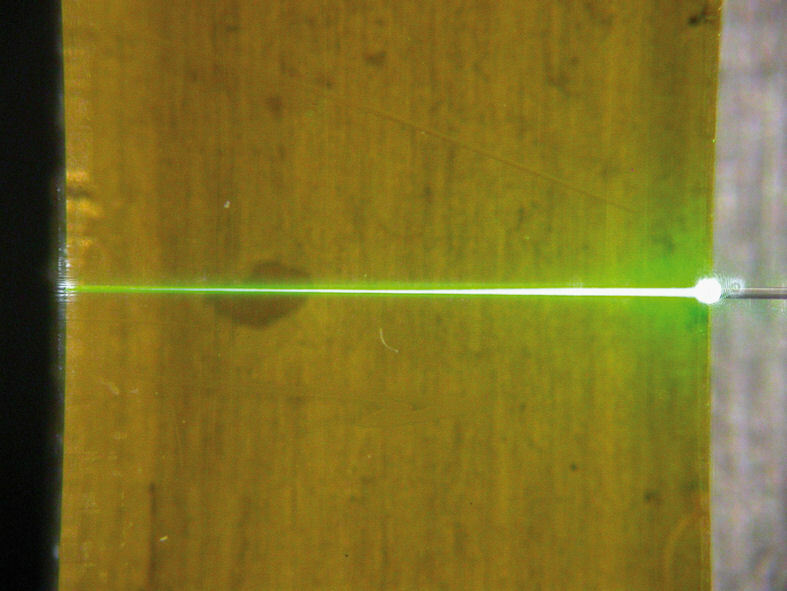 Upconversion in the green of Er3+ ions along a planar guide with 980 nm pumping. optical delay lines, for microwave transmitters. 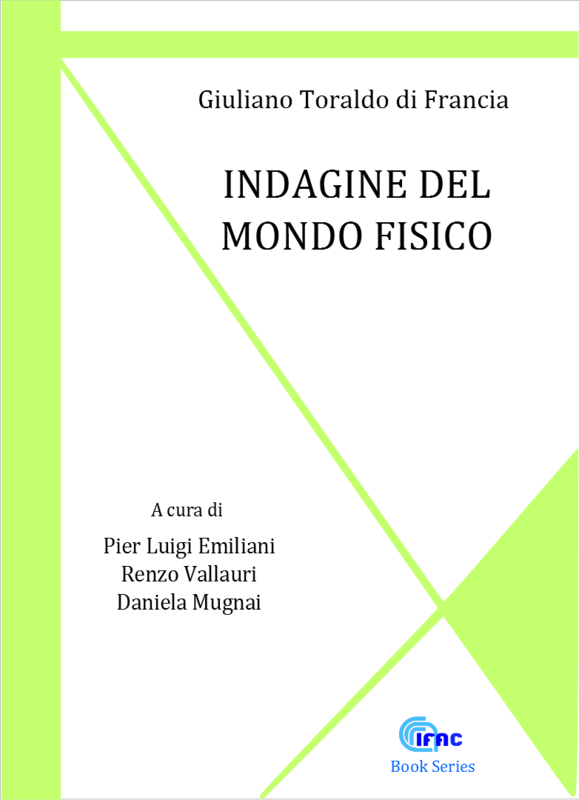 Fabrication and development of optical waveguide components by means of both photolithographic techniques and thin film deposition (in class 100 and 1000 clean room), and by means of direct writing with UV light or ion-beam irradiation. An in-depth study involving special glass for the realisation of innovative devices is currently under way. the realisation of long-period grating for application to sensors. A special project has recently been initiated that involves the development of waveguides in the THz band, for application to sensors and security.